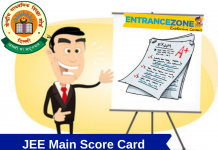 Home Admit Card How to recover the Jee Main 2019 Roll Number? Forgot Application No. How to recover the Jee Main 2019 Roll Number? if you forgot Roll Number of JEE Main 2019, know how to retrieve the same. The roll number is very important and candidates should keep the admit card until the admission process end and may be further also. Many times students forget their entrance exam roll number, all entrance examination have specific roll numbers for the applicants. 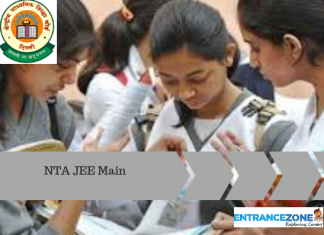 The JEE Main 2019 roll number is provided to the students on hall ticket and the only way to retrieve the same through that only. Don’t worry there are other ways also to recover the forgotten JEE Main 2019 Roll Number. The National Testing Agency (NTA) will release the format to recover the roll number soon. 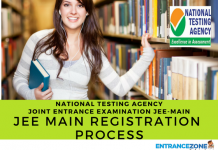 Latest News: JEE Main April 2019 Online Application Form process has been released by NTA on 08 Febraury 2019. JEE Main 2019 result announced. Click here to get yours. Check your JEE Main Rank Here at JEE Main 2019 Rank Predictor Here. Where is JEE Main 2019 Roll Number used? To download the acknowledgement page of the online application form. Also, to download the JEE Main Admit Card 2019. Furthermore to view the JEE Main Result / Scorecard / Rank Card. 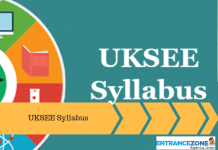 Various colleges and state counselling bodies require your JEE Main 2019 Roll Number for admission purpose. 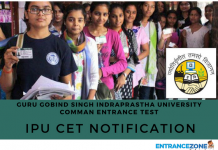 Now find the button on the homepage ” Result for Joint Entrance Examination (Main) 2019″. The page will automatically be redirected to the NTA Result page, click on the link JEE Main Result. Enter your Roll number and Date of Birth to check the result. Finally, click on the “Submit” button and the result will appear on the screen. Candidates are advised to check the details on the result page carefully and if there is any discrepancy, please contact examination conducting body. How to Check the JEE Main result without Roll Number? If the downloading option is available and candidates are able to download the admit card by putting there credential then they can get the roll number easily. And if you lost your admit card then also you can download it again. The best option is to keep the admit card copy at the safest place after the examination and until you get admitted to the institute. Surprisingly there is another way also to get the roll number. Find your question booklet for your JEE Mains Examination. And then you will find your roll number written at the corner of that question paper. ( you have written this roll number while giving your paper in the examination centre. So, this is one way to get the JEE Main 2019 roll number. How to recover the JEE Main Application Form Number / Password? The application number can be easily retrieved as CBSE gave an option for the same. Once the registration process is over, candidates receive their login credentials. It is very important to keep the login credentials and you will need it many times. As of now, candidates will require it to download the JEE Main Admit Card, which is scheduled to release on 23rd March (as of TOI). Follow these simple steps given below to get JEE Main Application Form “How to retrieve JEE Main Application Number”. Go to JEE Main Official Website www.jeemain.nic.in. Click on Login Page Link. Now click on “I Can’t Access My Account?”. Choose “I forgot my application number”. Click Here to Get Application Number. jee main application number, jee main roll number forgotten, jee main admit card 2019, jee main roll no name wise, jee main 2019 login.